Dr. Mishoe is a graduate of Clemson University and completed further graduate studies at Harvard University and Andover Newton Theological School, which pioneered in the integrative studies of spirituality, psychology, theology, and education in relation to the field of medicine. From Andover Newton Theological School, Dr. Mishoe received the professional degree D.Min. (Doctor of Ministry) in psychology and clinical studies with an emphasis in Jungian psychology. His postgraduate work was at the C.G. Jung Institute--Boston, from which he received his diploma in Analytical Psychology. His work history encompasses a wide range of experiences: high school math teacher, officer in the U.S. Army Field Artillery with service in Korea, university minister, pastor, and psychotherapist in private practice for the past 25 years. 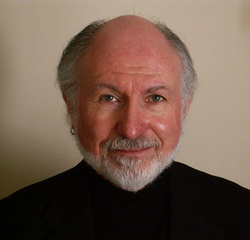 He is a member of the International Association of Analytical Psychology, the New England Society of Jungian Analysts, the North Carolina Association of Pastoral Counselors (certified by the state of North Carolina), the American Association of Pastoral Counselors, as well as the North Carolina Society of Jungian Analysts, of which he was elected President in September, 2006. Dr. Mishoe serves as adjunct faculty member at the C.G.Jung Institute-Boston, where he was the Analyst Director of the Summer Intensive for 10 years.